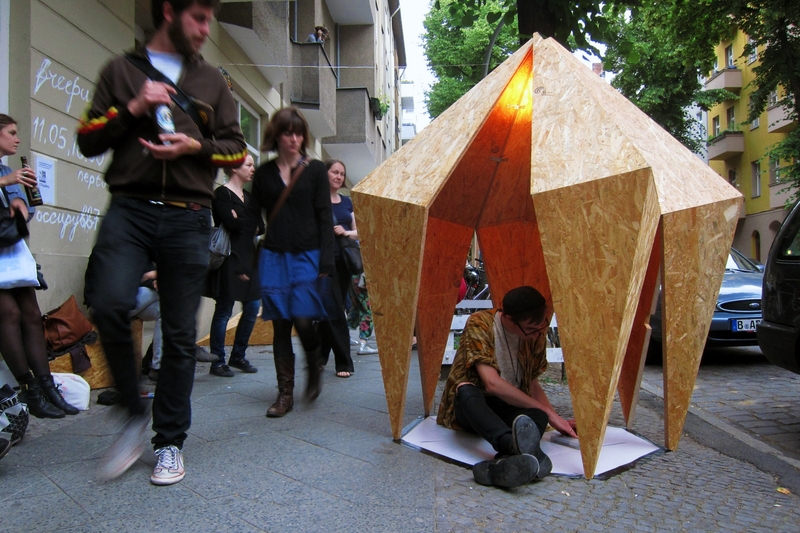 48 Stunden Neukölln is an art festival that takes place every summer in the Neukölln neighbourhood in the south of Berlin. All galleries and studios in the neighbourhood open their doors to the public with new exhibitions and events. For its 48 hour duration the streets are filled with life and excitement. 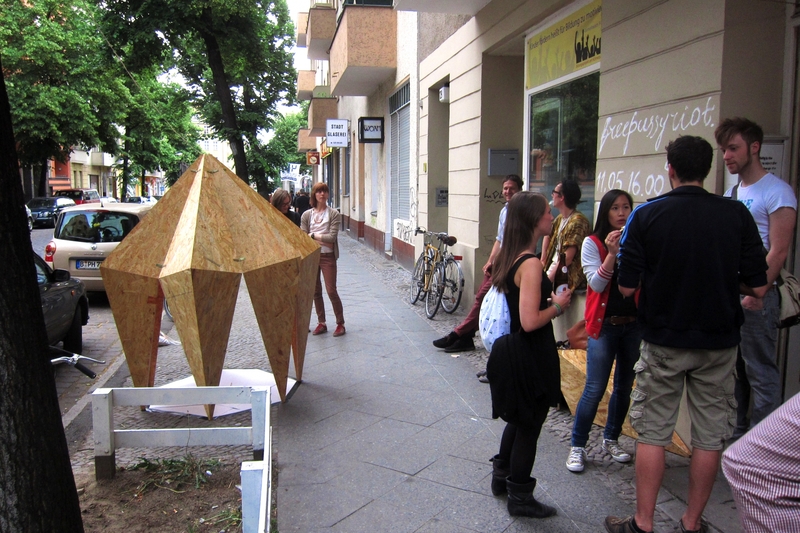 In the summer of 2012 Re-Make/Re-Model contributed to 48 Stunden Neukölln with the public space installation Driftwood. 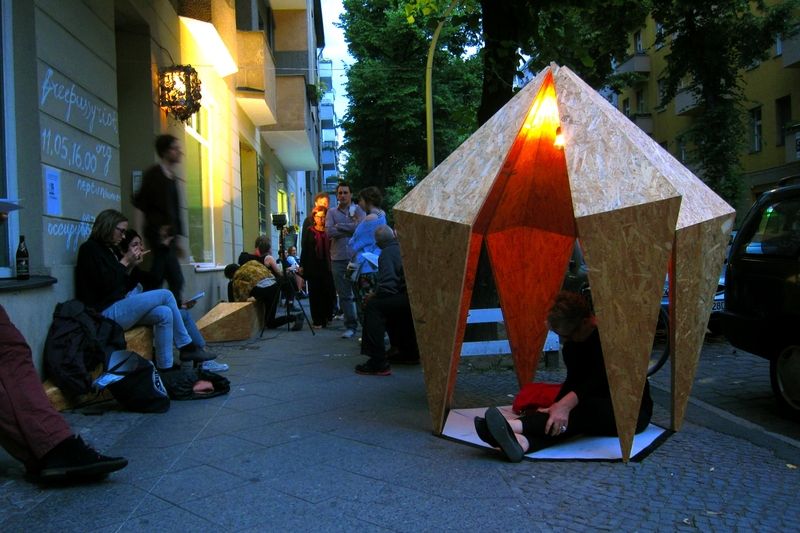 Designed and constructed using leftover pieces of OSB from a previous project, the object was quickly assembled and placed outside 129 Gallery on Emser Straße. 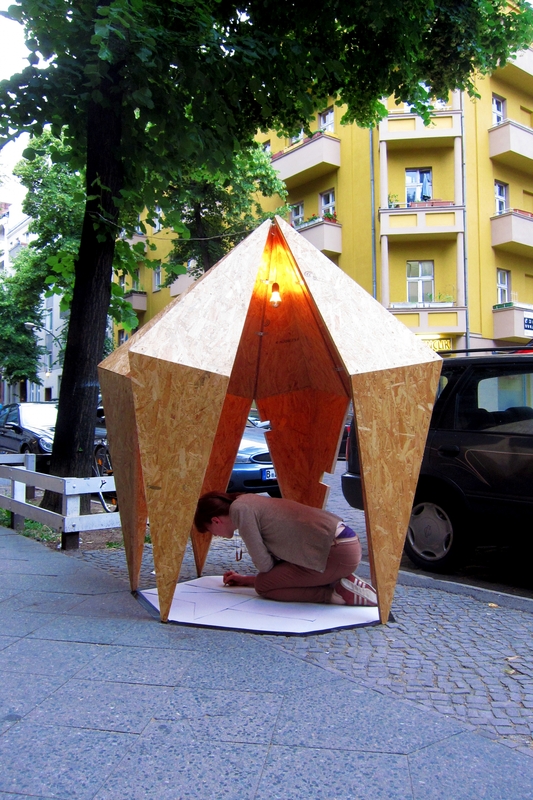 Inside the angular shape there was a solitary light bulb illuminating the street at night inviting people to hang out around the object. Under the light inside on the floor, people were invited to take a break, sit down and contribute to the collaborative drawing.